We continue our series of pending U.S. Supreme Court cases with another one from Colorado. Colorado imposes a sales and use tax similar to Hawaii. Not all sales to Colorado consumers are subject to Colorado sales tax, because the U.S. Constitution says that if a seller doesn’t have “substantial nexus” with the taxing state, such as a store or employees in the state, then the state can’t force it to collect and pay over the tax. In that case, a “use tax” in the same amount is imposed on the Colorado buyer, the same as in Hawaii. The tax authorities, of course, have a tough time collecting use tax on thousands of individual residents who buy things online…and a large chunk of the tax doesn’t get collected. Colorado came up with an interesting solution to its problem. They knew they couldn’t make all retailers collect and pay the tax over. However, if a retailer selling to a Colorado consumer doesn’t pay the tax, it must do three things. First, the retailer must advise the consumer that Colorado use tax is due on the purchase. Second, the retailer must send a summary of all purchases made during the year to the consumer if those purchases total $500 or more. Third, the retailer must send a summary to the Colorado Department of Revenue similar to 1099 reporting requirements. Penalties are imposed against noncompliant retailers. The Direct Marketing Association, or the DMA, whose members include many online retailers, sued in federal court asking for an injunction against enforcing these requirements, which they contended were discriminatory and unconstitutional. The U.S. District Court found them to be an undue burden on interstate commerce and granted a permanent injunction. The Department of Revenue appealed to the Tenth Circuit. The Tenth Circuit, interestingly enough, found a way out of the problem that neither party had argued. There is a federal statute that prohibits parties from litigating state tax disputes in federal courts, effectively requiring them to go through the state tax processes and state court system. The Tenth Circuit held that this case was a state tax dispute, threw the case out of federal court, and ripped up the injunction. The DMA took the case up with the U.S. Supreme Court, which agreed to hear it. First, can the Tenth Circuit dodge the issue by saying, “It’s not our kuleana, go argue about it in state court”? 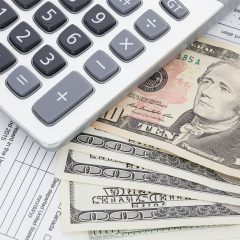 The federal statute clearly prevents taxpayers from litigating state tax disputes in federal court. Although the 1099-type requirements are obviously related to tax collection, the retailers are not Colorado taxpayers, and the retailers are challenging neither the validity nor the amount of the tax. Second, given that Colorado doesn’t have the power to force the out-of-state, non-nexus retailers to fork over the sales tax, is it nonetheless able to compel the retailers to report sales in a 1099-type manner (which, incidentally, may require as much or more time and effort on the retailers’ part)? In other words, are Colorado’s requirements ultimately valid? Clearly it is more convenient for a tax agency to get money from a large retailer than from thousands of small purchasers. If it’s unconstitutional to force the retailer to pay, is it nevertheless okay to force the retailer to cough up enough information to ferret out the customers to go after? Use tax compliance is not only an issue in Colorado, but in every state with a sales tax including Hawaii. There have been legislative proposals in Hawaii similar to those enacted in Colorado, as well as other proposals to deal with the compliance such as the Streamlined Sales Tax Project or SSTP, which we have written about before. So we will be watching this case very carefully, along with Hawaii lawmakers. On remand, the Tenth Circuit found that Colorado’s law wasn’t unconstitutional. The Direct Marketing Association petitioned SCOTUS for review. On Dec. 12, 2016, review was denied.